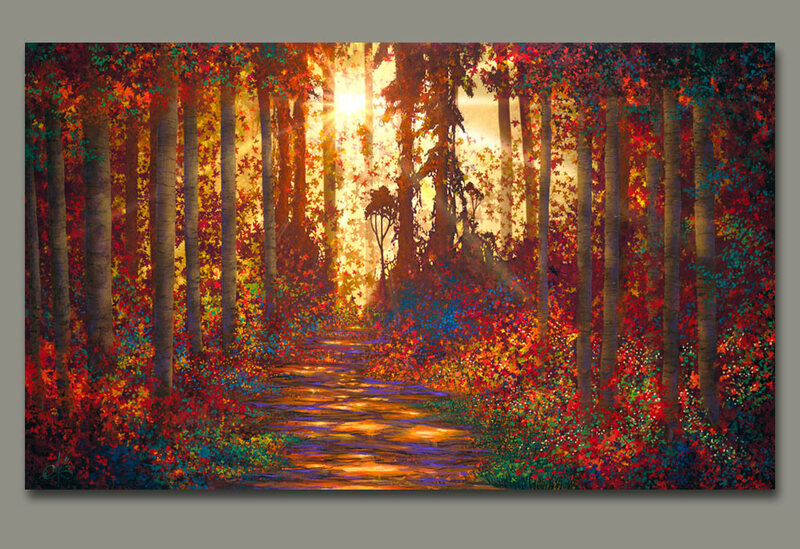 A brilliant kaleidoscope of autumn color transmitted from the diverse palate of artist David Miller. This is a large wall piece that will accentuate any space and color decor'. Gallery wrapped canvas 1.5 in. projection from the wall.